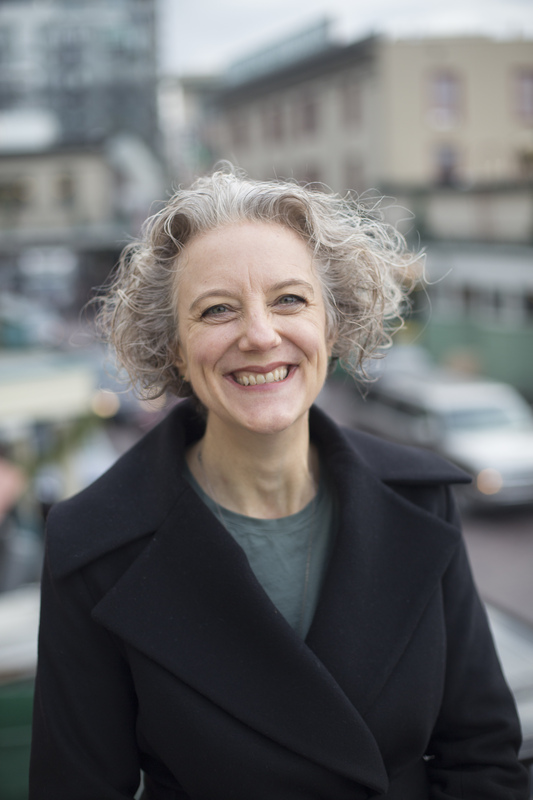 In this podcast, BCB host Wendy Wallace speaks via Skype with Seattle author and historian Paula Becker. 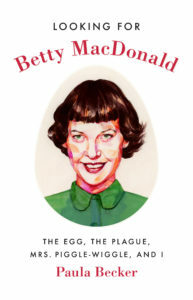 Becker will be reading from her new book, Looking for Betty MacDonald: The Egg, The Plague, Mrs. Piggle-Wiggle, and I, at Eagle Harbor Books on Sunday, Oct. 2 at 3pm. 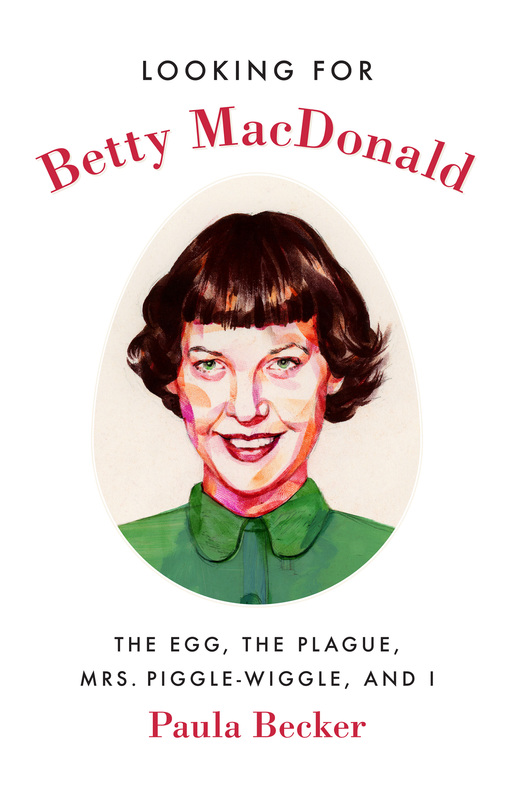 For those unfamiliar with Betty MacDonald and her writing, she had an instant hit in 1945 with her first memoir, The Egg and I, a hilarious account of the newly married author’s life on a chicken ranch in nearby Chimacum, Washington. This bestselling book — which was made into a movie starring Fred MacMurray and Claudette Colbert — sold over a million copies in less than a year and catapulted MacDonald into fame. Long fascinated by MacDonald — who wrote three more memoirs along with the engaging Mrs. Piggle-Wiggle books for children before her untimely death at age 50 in 1958 — Paula Becker decided to further explore this intriguing author. She obtained permission from MacDonald’s family to access archives and personal materials never seen by the public, and visited former homes and other locations written about in MacDonald’s works, taking time to explore all the nooks and crannies of MacDonald’s world. 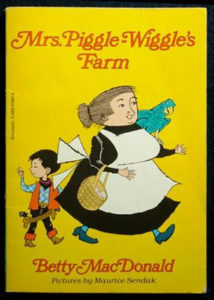 The culmination of Becker’s investigations and discoveries is this exciting new biography, and it’s a fascinating subject — not just for those of us who grew up reading The Egg and I and the Mrs. Piggle-Wiggle books, but also for anyone curious about the Pacific Northwest, small town life, chickens, a woman’s post-war perspective on life in the U.S., or who simply wondered why that road they sometimes pass on the way to Port Townsend has such an unusual name. 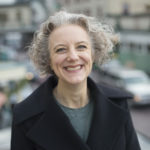 More information about Paula and her writing can be found on her website, www.paulabecker.org and at historylink.org, the online encyclopedia of Washington state history, where Paula is a staff historian. Credits: BCB host: Wendy Wallace; BCB audio editor: Chris Walker; social media publisher: Diane Walker.